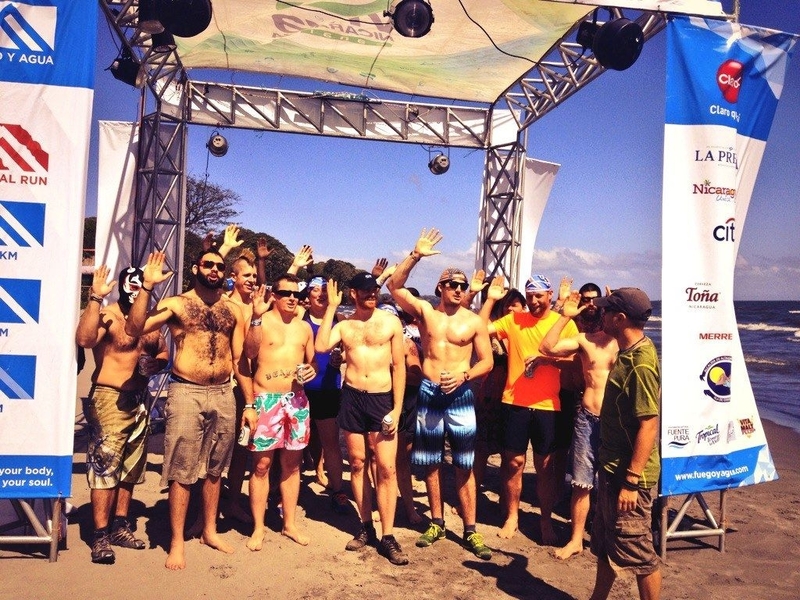 Since the inception of Survival Run Nicaragua, the extreme endurance event held annually on the island of Ometepe, a component of the race week has been giving back to the local community. The 24-hour extreme endurance event has athletes running over seventy kilometers, completing tasks along the way. Think of it as the most extreme version of The Amazing Race. The tasks the athletes complete are designed to mimic life on the island and help those who live there. Each year a service component has been part of the race week. During the first year, athletes and students helped clean the streets of the largest city on the island. Also during that week, a small group of athletes decided to host an informal beer mile. For those uninitiated, athletes run a mile and drink four beers in the process. What do community service and a beer mile have in common? After photos of the beer mile showed up on social media of that first year it became part of the activities surrounding future races. In addition, to watching people try to drink beer and run, it also became a fundraiser. Funds raised from “entering” the beer mile were then donated to local schools for much-needed supplies. For some, it was a soda mile and others just pitched in a few dollars to help the local community. As Survival Run has progressed so has this fundraising cause for the students on the island. This year, athletes Jeff Murphy and John Taylor have led the way to raise money prior to reaching the island. 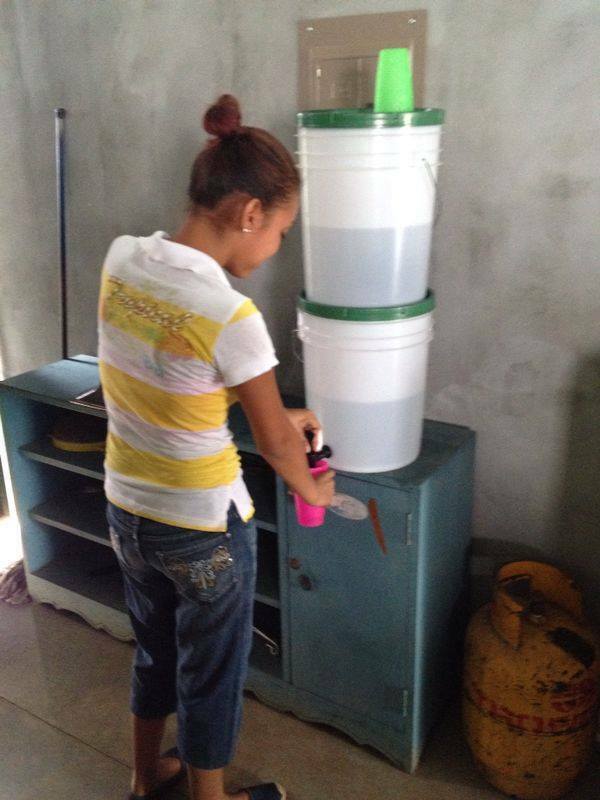 This year's project, bring water filtration systems to schools on the island. Many of the small villages on Ometepe have a problem with clean water. 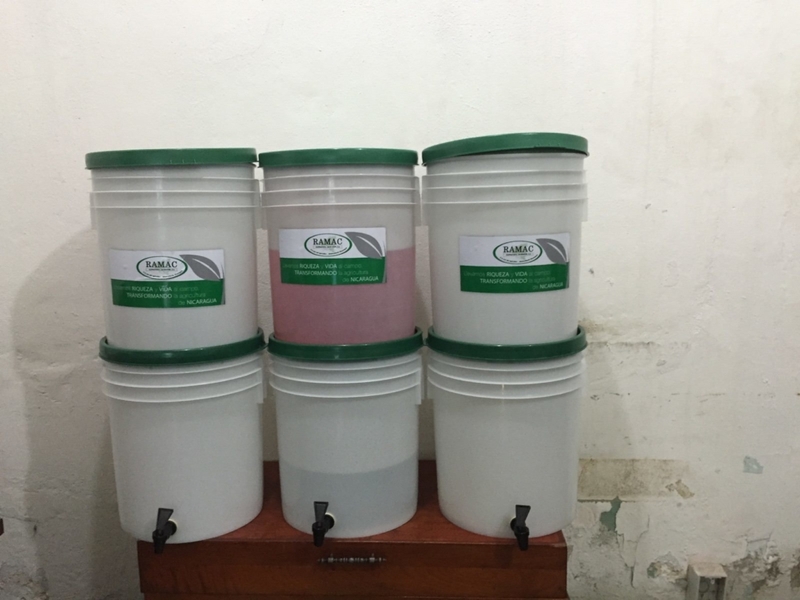 With these Green Hitechs gravity water filters (below), even the lake water can be purified to be safe. 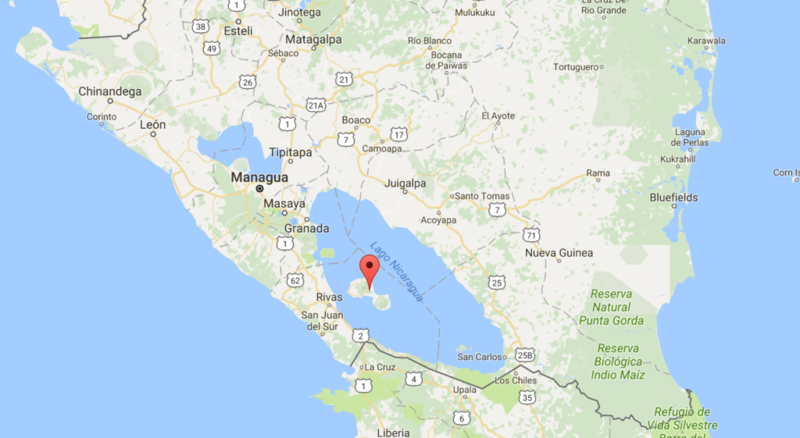 Ometepe is in the center of Lake Nicaragua. These two racers have come together with the help of the obstacle racing community and beyond to raise over $1,800 dollars for these systems. When talking to Murphy this morning he commented that at first, they wanted to raise enough money for to give 3-4 of these to 3 different village schools. Now, with the money raised, they will be able to purchase at least 30 systems helping many schools on the island. The new goal is 40 systems to dispersed throughout the small villages on the island. Josue Stephens, the Race Director for Fuego y Agua told Mud Run Guide this morning that they have been working directly with the guy who makes these systems in Managua (the capital of Nicaragua) and he is not only providing the systems to the schools at cost but also delivering them to the schools on Ometepe. The filters on the systems last about two years and the schools are already planning on doing fundraising to replace filters when needed. Talking with Murphy, the current goal is to raise $2,300 this will provide 40 filtration systems for small villages all over the island. For a bunch of racers who in 2013 decided to run a beer mile for fun and help the community pick up some trash the Survival Run racers and FUEGO Y AGUA events have come a long way in helping the community and the people of the island. FUEGO Y AGUA Survival Run will take place on Thursday, March 9 – Sunday, March 12, 2017. We will be there on site to capture much of the action. For more information on how you can help support the water project or learn more about Survival Run check out the FUEGO Y AGUA website for more details.